Team bonding was again the name of the game as the national team concluded minicamp. Unexpectedly, Day 2 of practice at the USA Basketball Men’s National Team minicamp commenced 15 minutes before the original scheduled start at noon on Friday. At the onset, assistant coach Ime Udoka led scrimmage, barking orders as if real international competition was just around the corner. Similar to Day 1, teams were split amongst blue, grey, and yellow jerseys, and the guys went hard against each other. Peer pressure drills were plentiful, as players continuously missed free throws which forced the entire squad do suicides and pushups. This last practice in 2018 lasted about an hour before it concluded. Since this was an off year of real in-game competition, it was logical to end on a light practice. Even coach Gregg Popovich got in with some action on defense. Nevertheless, several players on the team continued to go at it in a half-court setting, as the media scrum got underway. With Kyrie Irving feeding the ball to the offensive player, Paul George, Victor Oladipo, Myles Turner, Devin Booker and Kevin Durant went aggressively at each other in half court one-on-one for almost a 45-minute session. Unlike the NBA All-Star Weekend, where guys would literally be playing “matador” defense, players competed at a high level given the stakes still on the table. The players, especially the ones without too much international experience, understand what’s at stake. Although Isaiah Thomas hasn’t been able to practice full contact five-on-five with his teammates, he expects to be back next year competing in China. James Harden praised how minicamp was run this year. Following Popovich stressing numerous times yesterday how this minicamp was more about bonding and building relationships instead of focusing on the X’s and O’s, it was pretty much the same response from the players about connecting. Turner, a member of the 2016 Team USA Select Team that trained against the 2016 Olympic Team, echoed similar thoughts to what Popovich mentioned. “I know a lot of these guys just through playing against them, but it’s pretty cool just to be around the whole crew, and just being able to learn from them,” Turner said. When asked who he got to know better over the past couple days, Harden had someone particular in mind. Harris seemed to stand out for these past two games. He appeared to be impactful on both ends of the floor. From hitting fadeaway jumpers to cleaning up the glass for easy put-backs, he seemed determine to make a name for himself among the players assembled. Anthony Davis did not attend Day 1, but showed up to converse with his teammates. Davis is on the 35-man roster, and was a gold medalist in the 2014 World Cup in Spain, and the 2012 Olympic Games in London. Russell Westbrook, who participated in practice for Day 1, was mostly on the sidelines for Day 2, bonding with some of the other guys on the bench. Westbrook, Kyrie Irving, and Davis chatted it up for a bit. Occasionally, Westbrook would come on the court and imitate teammates, to hilarious effect. Although retired from the USA Basketball National Team and international competition, Carmelo Anthony made an appearanceto the surprise of many. 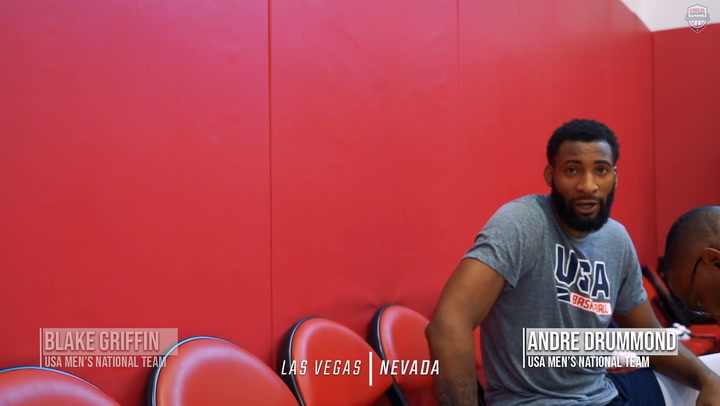 The most decorated male Olympian in USA Basketball history, Anthony has gold medals from the 2008, 2012 and 2016 Olympic Games, plus a bronze medal from 2004. Anthony also was a member of the team that won the 2007 FIBA Americas Championship, also held in Las Vegas. Sam Yip is a freelance contributor to USAB.comon behalf of Red Line Editorial, Inc. In celebrating Black History Month, Olympic gold medalists Chris Bosh and Dawn Staley talk about some of the pioneers of basketball who came before them. 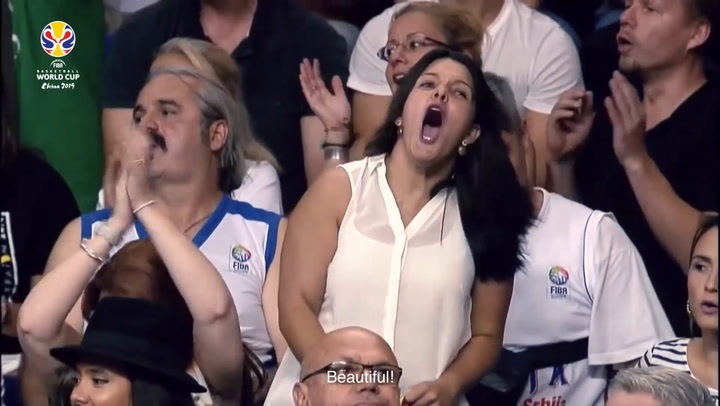 USA Basketball Men's and Women's National Teams were in action in 2018 - catch USAB.com's Best of Slomo. 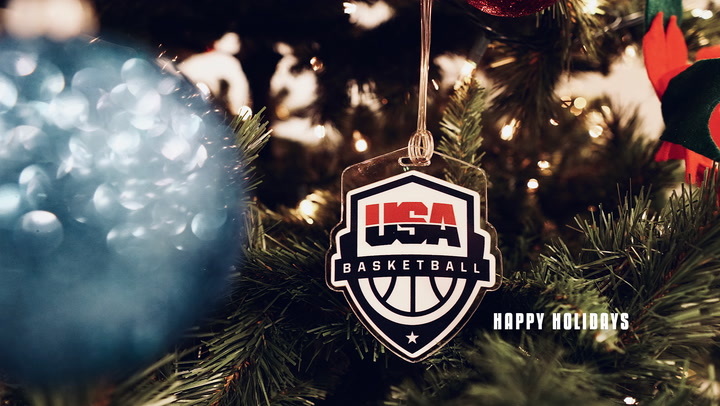 2018 holiday card from USA Basketball. We weren't always on court this year. 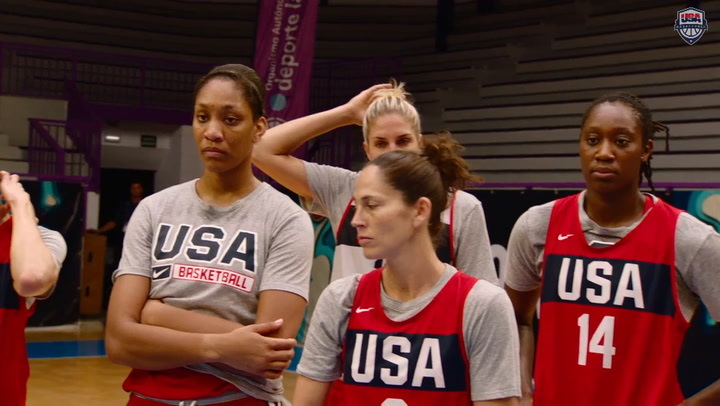 Some of our favorite scenes from outside the lines with 2018 USA Basketball National Teams. Former USA Basketball National Team member and two-time Olympic gold medalist Kobe Bryant was named a FIBA Basketball World Cup 2019 global ambassador. Between Jones, Flannery and White, they have coaching experience with or at 35 USA Basketball teams or training camps. The USA outscored the World Select Team 24-15 to take control of the game. Hear from USA head coach Scott Fitch and the USA's Cole Anthony, as well as World Select Team head coach Roy Rana and World Team members Precious Achiuwa and Nico Mannion.